What do I see in user profile? How to edit info? Account info - includes basic info about user's position, department, user role, email, phone and birthdate. It can be fulfilled at the moment of creation or edited later in Settings - User Settings - Account info. 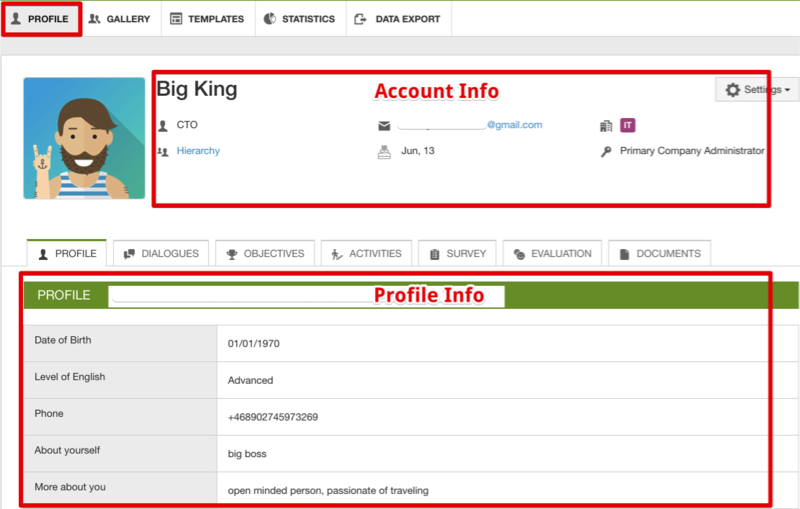 Profile info - which is being fulfilled by an employee according to the default company Profile template previously created by user with administrative roles. Profile info is empty by default . Editing profile info is available from user Profile page click SETTINGS and select EDIT PROFILE INFO from the drop-down list. Required field name is marked with red asterisk and will not allow you to save form if it's empty. Non-required field has no additional marks next to it and can be left blank. Both of these fields will be shown in Profile view form even if non-required field is empty. Select a field from dropdown list and fill it in a usual way. Some fields can be locked for editing for user's Managers only. Observe this status displayed under the field name where applicable. 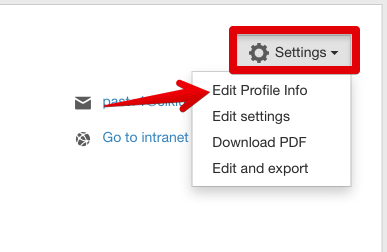 Pay attention to alerts that appear next to EDIT button, it will let you know about any changes made in Profile template by Company administrator. After you click EDIT, you will see the differences. Fields marked in red are the ones that have been deleted from company Profile template. They are not editable anymore and will disappear upon profile saving. Fields marked in green are the newly added ones and should be fullfilled.